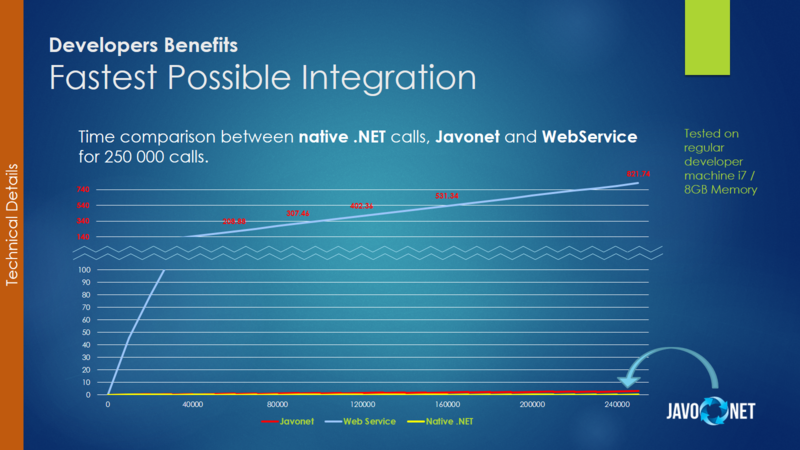 Javonet is the worldwide leading native integration technology between C++/.NET and Java. 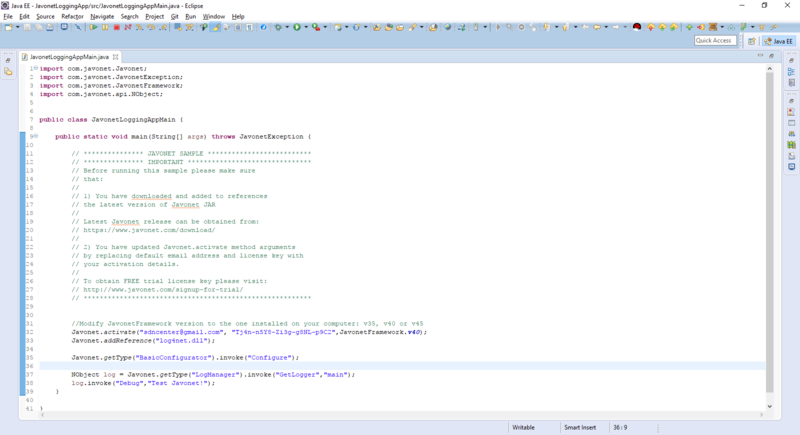 Javonet allows to integrate any Java, .NET or C++/COM systems with required modules from other technology. 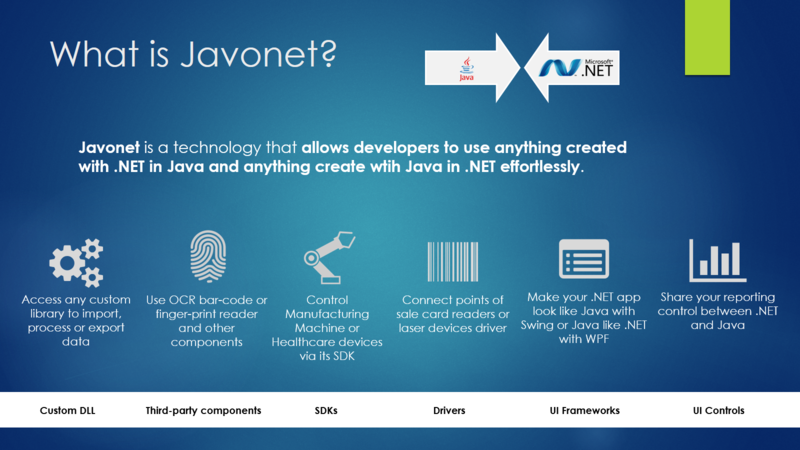 With Javonet developers can use any existing libraries, SDKs, drivers, APIs or client libraries and use them directly from their .NET or Java application preserving highest performance, reliability and safety. The unique solution of integration challenge provided by Javonet is the great alternative for each case where standard means like web-services are either not efficient enough, not possible, impose too much risk or are unaffordable. Javonet provides execution performance 1000x higher than Web Services therefore it is great choice for manufacturing, financials, banking, big data analyses, healthcare or gas & oil extraction. Additionally the native integration characteristic guarantees highest reliability and security due to bounding entire solution within single operating system process. 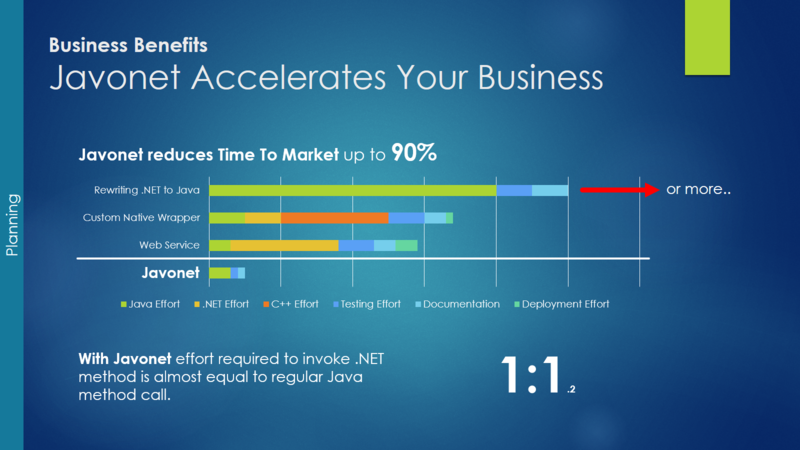 Javonet integration provides time, risk and cost savings on each stage of software development process significantly reducing the time to market of the project, remove the need of engaging additional teams with other technology skills, simplifying development and streamlining deployment and maintenance. Javonet is also a great choice for software and hardware vendors providing their products with .NET or Java based APIs, SDKs and Client Libraries allowing them to double the total market opportunity for their solutions by opening them for customers using other technologies.